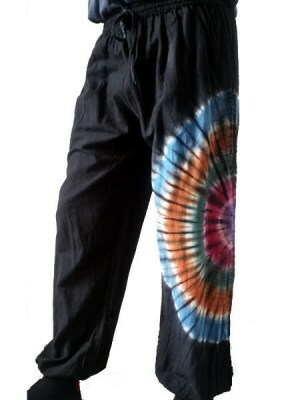 Browse through our online store, with a cool range of hippy trousers or cotton pants made in a number of classic Nepali designs. 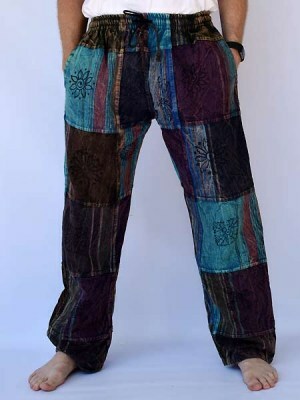 Our boho pants will have your customers coming back for more. 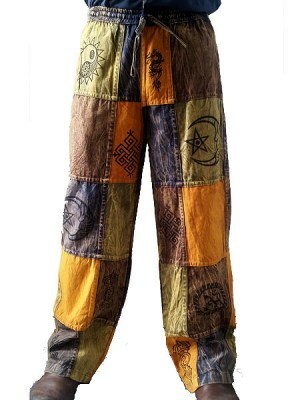 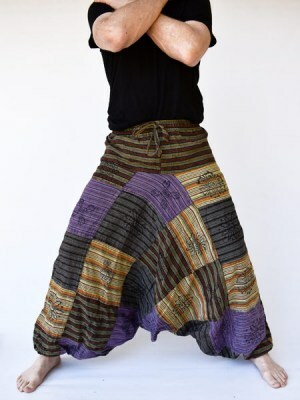 We continually add to our catalogue and you will find harem pants, patchwork trousers, tie dye leggings, stonewashed cargo trousers, stripe Nepalese mens trousers and various block print and hand painted hippie pants. 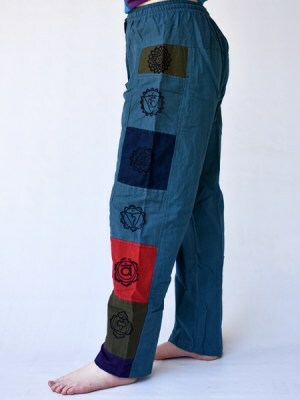 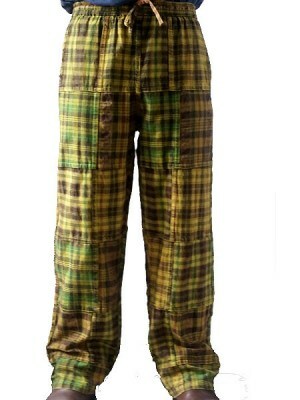 We cater for men with our Afghani print pants, shayma cargo combat trousers and stripe cotton trousers. 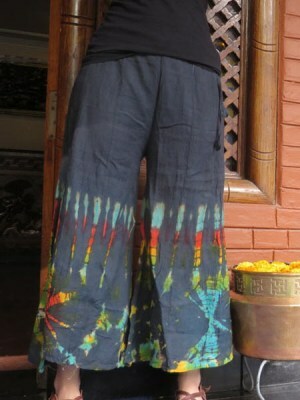 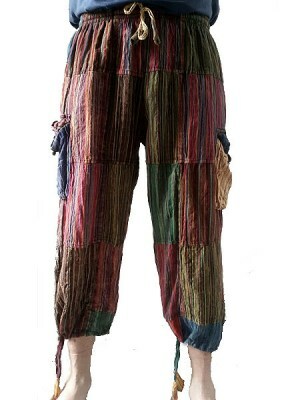 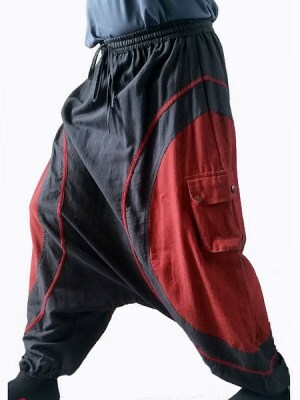 For women there are yoga pants, soft cotton aladdin pants and ram nam tights. 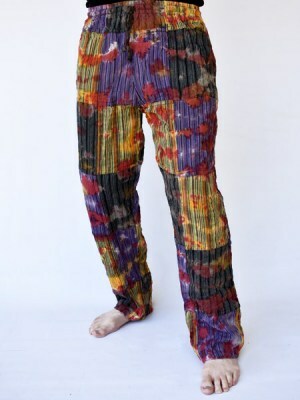 We only supply shops and unfortunately cannot sell to individuals as we have a minimum order of a few pieces per design.